Psychotherapy has been described humorously as the art of practicing a science which doesn't exist. Brauer and Faris submit that the practice of psychodynamic psychotherapy draws on both art and science and should be conducted only by those who are properly trained with sufficient experience and steeped in the empirical literature based on solid research. Insightful and well-trained therapists should, therefore, draw heavily from the scientific disciplines of child development, medical science, biology, neuroscience, psychology, and sociology. To tap into the great body of research in such areas means the well-read psychotherapist must be able to assimilate contributions from a rather broad array of specialties. This is a daunting task and is not for the intellectually faint of heart. 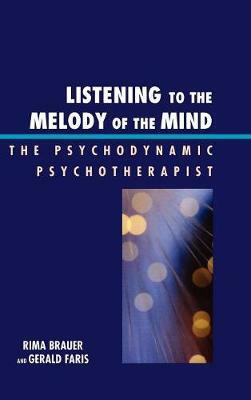 Listening to the Melody of the Mind attempts to provide a comprehensive exploration of the person who is the therapist.